This concert connects a vast variety of pieces including oldest known music for keyboard from Robertsbridge Codex, one of the most known pieces by J. S. Bach “Ich ruf zu dir, Herr Jesu Christ”, late romantic composition “Le Jardin Suspendu” by J. Alain and post-minimalistic works of USA composers J. Adams and K. Gann. The programme of the concert will be enriched with a transcribed composition “Hymn of remembrance”” by Keith Jarrett from album “Hymns. Spheres” which is one of a few original jazz improvisation on pipe organ albums. Lithuanian composers Tadas Dailyda and Mykolas Natalevičius wrote pieces especially for this concert during artist residency in MoKS. They are interested in connecting classical academic music with various non-academic styles like ambient, drone, jazz and videogame music. The main idea of this concert is to show how pieces from different time in history can be seamlessly adapted for pipe organ. 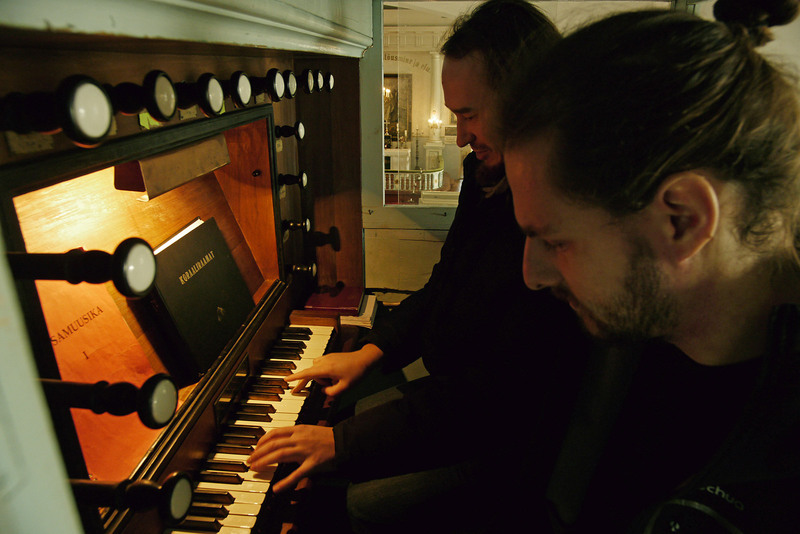 Sound of pipe organ will be enhanced with live electronic music system which enriches the spectra of acoustic instrument as well as some pre-recorded fragments where necessary because of limitations of this particular instrument.